Good morning sunshines! 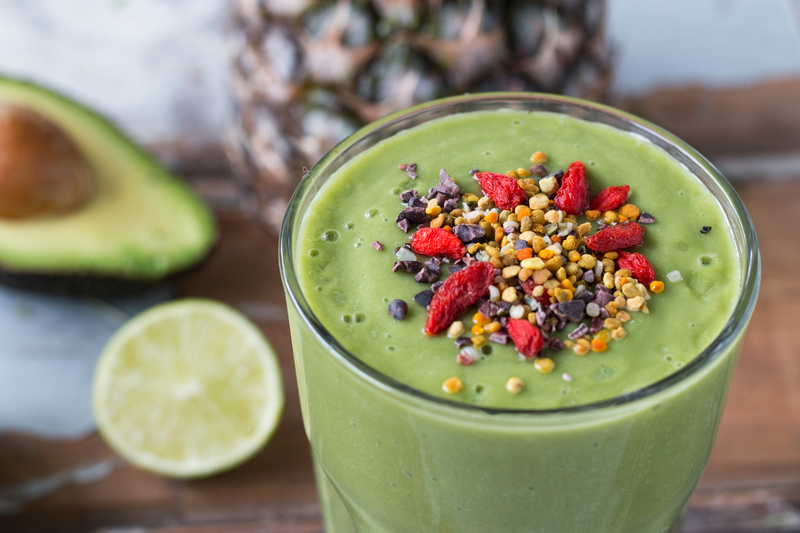 Did you know that starting everyday with a green smoothie makes you feel awesome? No? Well, now you do. The past week I’ve been juice detoxing (with the 7 lbs in 7 days app by Jason Vale, which I recommend to all of you!) and I feel like a super human. Really. My energy levels are sky high, my mind is full of ideas, I don’t need that much sleep – 6 hours is enough, I’m just not tired anymore – and my skin looks amazing. 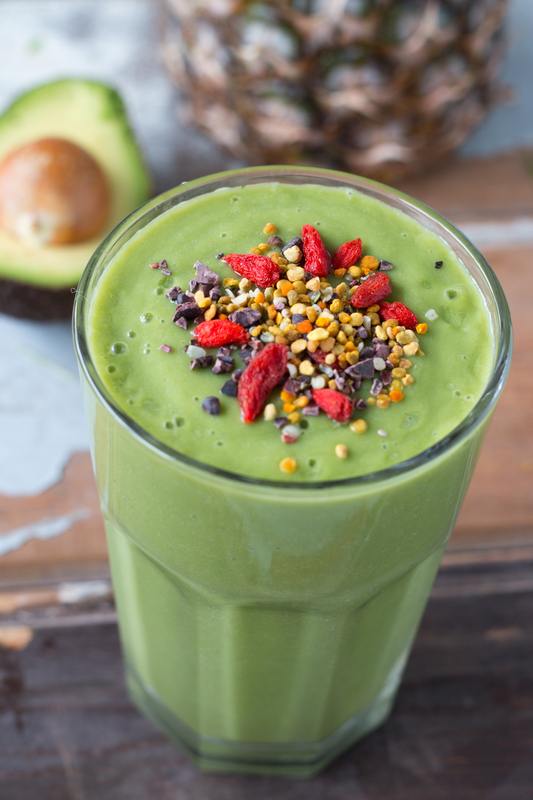 Try starting each morning with a green juice or smoothie too! This green smoothie tastes like heaven. I mean it. The fresh pinapple juice melts perfectly with the creamy avocado.